VSM High Availability is optional but it is strongly recommended in a production environment. High availability is accomplished by installing and configuring a secondary VSM. Then come back to this post to learn how to install and configure a secondary VSM for high availability. 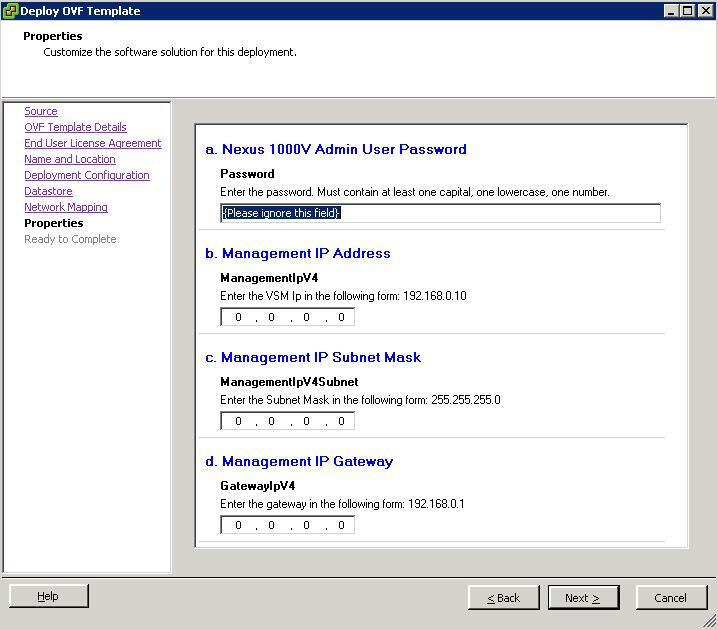 2) Install the secondary VSM from the OVF. Select to Manually Configure Nexus 1000v and just like the primary installation select the right VLANs for Control, Packet and Management. Once a VSM is set to secondary it will reboot. VMware recommends that you run the Primary and the Secondary on different ESX hosts. From the VSM run system switchover to switch between the active and the standby VSMs. That is it, now you have a highly available Cisco 1000v VSM infrastructure. 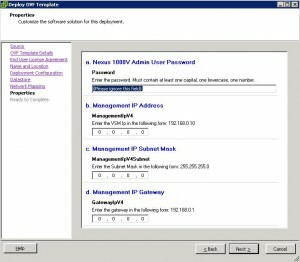 Written by Configure vSphere and Cisco Nexus 1000v connecting to Nexus 5k upstream switches | Technologist about 8 years ago.